PRODUCTION EXPO 2014: Since it was founded in 1963, Korg's goal is to create new and extraordinary experiences in music and performance. This idea drove the creation of Japan's first disc-based rhythm machine, the Doncamatic, and ultimately what led to the development of Japan's first synthesizer and the world's first needle type tuner. This was followed by numerous unique instruments and products that have inspired, challenged and impressed musicians from all over the world. Korg is determined to continue creating innovation and uncompromising gear, maintaining their high quality status for devoted artists and creators as well as interested beginners. The instruments and products Korg will deliver are reflections of the ideas and values many of its users and followers withhold, who continue to love Korg products now and into the future. KROME is the Korg workstation for players who need uncompromising sound. Features include KRONOS-derived pianos and drums; powerful effects with five Insert, two Master, and one Total, plus per track/timbre EQ; complete 16 track sequencer; dual polyphonic arpeggiators; and plug-in editing software. Once you play Krome you'll never forget what 'real' sounds like. The Korg KROSS Music Workstation provides a list of features that can be found on Korg's most advanced musical instruments, and it can run on batteries. The KROSS sets a distinctive new standard in music workstations, with specs and style that set it apart from all others. The taktile is a USB/MIDI controller equipped with a semi-weighted keyboard. Taktile is loaded with functions that make it fun to use, like a touch pad, trigger pads and an arpeggiator that includes rhythm patterns. Of course, the taktile also delivers the functionality expected from a MIDI controller. 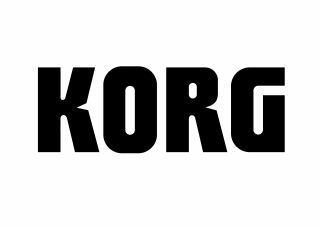 For more information on Korg please visit their official website, or connect with them via Facebook, Twitter and YouTube.